Well on Saturday there was a ‘Love Walthamstow’ event on the former arcade site. 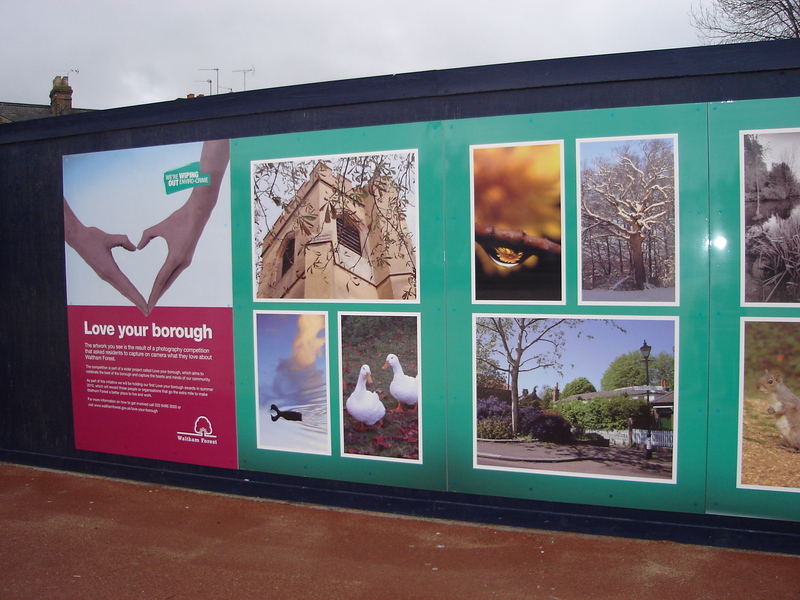 While I missed that I walked past on Sunday morning and saw that there are lots of pictures of Walthamstow on the hoardings. They’re pretty good and well worth a loom if you’re passing by.